A common, but mistaken, view of consciousness holds that it is primarily an emergent feature of the brain, determined solely by the internal cell structure and organization. Thought is seen as a purely internal process of reasoning independent of our interactions with the outside world. While scientific investigation along these lines has run into a wall, other research has progressed that looks at consciousness in terms of an organism’s development within and interaction with nature and its environment. 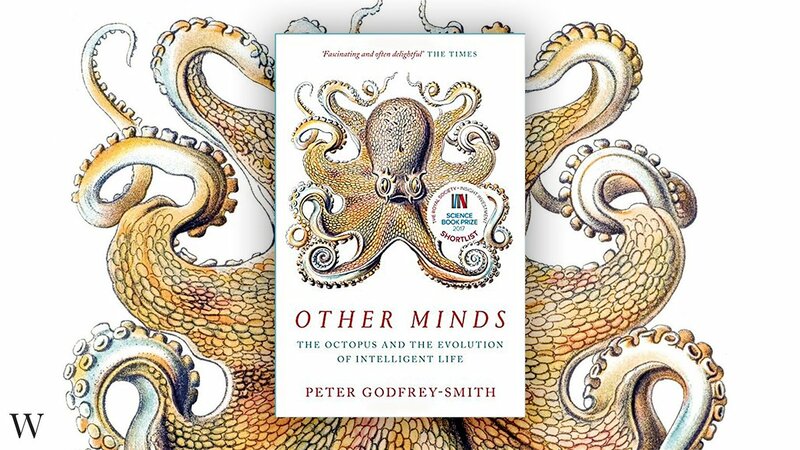 Peter Godfrey-Smith’s best-selling book Other Minds: The Octopus, the Sea, and the Deep Origins of Consciousness falls into the latter camp, and is a welcome development for those looking for a better understanding of the nature of consciousness. Other Minds documents and analyzes the recent studies into the intelligence of octopuses, a subject which has seen increasing scientific and popular interest in recent years. Experiments and casual observations have revealed them to be unusually intelligent animals, much more so than previously expected. Scientists looking into the nature and origins of consciousness and intelligence have often looked to other animals showing a similar degree of intelligence to humans. Although Marxists are primarily concerned with the development of human society and political struggle, as materialists we necessarily also look to developments in science and new ways of understanding the material world. Marx and Engels closely followed the scientific breakthroughs of their day, including the original development of Darwin’s theory of natural selection. Marx heralded the publication of The Origin of Species, declaring that “in the field of natural history, [it] provides the basis for our views.” Engels meanwhile looked specifically into the question of the origins of consciousness and intelligence in humans. Any further developments on those lines are of particular interest to Marxists. When it came to consciousness and intelligence, Marx and Engels stressed their relationship with labor or physical interaction with nature. Engels in particular looked to this as the basis for the evolution of intelligence in humans. What’s particularly interesting about Other Minds for Marxists is that, despite not being a Marxist himself, Godfrey-Smith independently comes to many of these same conclusions through his research into octopus consciousness. As such, it’s useful to look into Godfrey-Smith’s findings from a Marxist perspective. To see how they confirm and build upon the ideas of consciousness put forward by Marx and Engels, and to contrast them with other anti-Marxist conceptions of consciousness. Other Minds details the results of the various studies of octopus intelligence and assesses what they reveal about the nature and science of consciousness. It’s written for a mass audience and is very accessible, but it still carefully cites the scientific papers behind the research, so more knowledgeable scientists can still get something out of the book. To the readers’ delight, Godfrey-Smith details numerous examples of intelligent activity among octopuses. They have demonstrated the ability to figure out how to open the lid of a jar containing food. And they have also demonstrated the ability to figure out how to unscrew the lid of a jar from the inside. And, unlike fish, they seem to be aware when they are inside an aquarium, and have developed a tendency to wait until observing scientists have left the room before tampering with the equipment. But it took a while for scientific studies to realize how intelligent octopuses were. One example of Godfrey-Smith’s approach is illustrated by his explanation of why this happened. A lot of the early tests in animal intelligence reduced the question to a simple act of puzzle-solving. Experiments derived from B. F. Skinner would use positive reinforcement to encourage animals to learn how to do a particular task or solve a particular puzzle by rewarding them with food. These allowed for rigorous quantitative tests, but with octopuses, the results were at odds with their actual intelligence. Part of the intelligence of octopuses stemmed from their willingness to play with random objects to figure out how they work. This, coupled with their finicky eating habits meant they were often more interested in the laboratory tools than the food and the tests would be misrepresented. Godfrey-Smith refers to a 1959 experiment by Peter Dews in which octopuses were supposed to learn how to pull a lever which would turn on a light and give the octopuses food. In the book Cephalopod Behaviour, by Roger Hanlon and John Messenger, this experiment is cited as a failure. However, when Godfrey-Smith looked at the original paper, he found that two out of the three octopuses tested did learn to pull the lever. The third octopus broke the lever, pulled the light into the tank and proceeded to squirt anyone who passed by the tank with water. Since that octopus technically didn’t learn how to pull the lever, it was held up as an example of their inability to learn. Dews’ experiment was set up that way out of a desire for “objective, quantitative methods of study.” But Godfrey-Smith points to “a mismatch between the results of laboratory experiments on learning and intelligence, on one side, and a range of anecdotes and one-off reports, on the other.” Octopuses would short-circuit the lights in the aquariums, causing them to be released to the wild before the experiments were finished. In one case, an octopus being fed on thawed-out frozen squid waited for scientist to walk into eyeshot before dumping the squid down a drain. Some of the strongest examples of octopus intelligence appeared outside the laboratory altogether through observing octopuses in nature. In 2009 researchers in Indonesia found octopuses carrying around pairs of half coconut shells that had been cut and discarded by humans. They stick them together into a sphere to form a shelter, take them apart when they need to move, and put them back together when they settle down again. Other animals, such as apes and some crows, use found objects as simple tools. But these octopuses are the only non-human animals to make tools that can be disassembled and reassembled. Where scientists like Dews went wrong was in adopting a reductionist approach. Quantitative rigor was placed above correspondence to reality, and intelligence was viewed as a purely internal reasoning capability expressed in extremely narrow fashion – learn to pull a lever to get food. But this doesn’t mean there’s no place for laboratory experiments or “objective, quantitative methods of study.” Godfrey-Smith points to more recent studies by scientists like Jennifer Mather, Roland Anderson, and Michael Kuba, who have devised new studies based on the wider knowledge we have gained about octopuses which have been more fruitful. Engels looked specifically at human evolution. The common assumption among other evolutionists at the time was that intelligence was a purely internal phenomenon resulting from a bigger brain. In contrast, Engels saw intelligence in terms of labor and the ability to interact with nature in complex ways. In particular, he pointed to the way that the necessity of humanity’s ancestors to engage in complex labor served as a driving force for the evolution of intelligence. As such he looked to the development of the hand, and not the brain as the breakthrough event in human evolution: “But the decisive step had been taken, the hand had become free and could henceforth attain ever greater dexterity”. This ability to manipulate nature in more complex ways didn’t inherently lead to the evolution of intelligence, but it made such a development possible. Engels’ view wasn’t widely accepted during his lifetime but has since been increasingly confirmed by later discoveries. In particular, the discovery in 1974 of Lucy, of the species Australopithecus afarensis, has revealed humans’ early ancestors to have pre-hominid skulls with limited cranial capacity, but an upright bipedal posture that freed their hands. Cephalopods evolved under quite different circumstances from apes and humans. But in Godfrey-Smith’s account of cephalopod evolution, the same process occurs. First organs develop capable of complex manipulations of labor. Then this enables the development of intelligence and a larger brain. Then the necessity of complex labor drives evolution in that direction. In cephalopods, those organs are their arms and tentacles. The role of these arms in octopus intelligence is almost a caricature of Engels’ views. While octopuses do have a central brain, this is accompanied by a number of nerve clusters, or ganglia, spread out throughout the body. “In an octopus, the majority of neurons are in the arms themselves — nearly twice as many as in the central brain. . . Even an arm that has been surgically removed can perform various basic motions, like reaching and grasping.” As such, a large part of the octopuses’ thought process is carried out directly in the organs that directly manipulate the outside world. Moreover, these complex arms, with minds of their own, evolved before the central brain. The earliest cephalopod was the late Cambrian Plectronoceras. Scientists aren’t sure whether or not the Plectonoceras had achieved buoyancy. But by the Ordovician period that succeeded the Cambrian (485-443 million years ago), the Cameroceras evolved, a large, buoyant cephalopod predator with a cluster of tentacles. By the end of the Paleozoic, a new development occurred: “Sometime before the age of the dinosaurs, it seems some cephalopods began to give up their shells. . . . This enabled more freedom of movement, but at the price of greatly increased vulnerability.” And this lead to the evolution of the central brain, as the arms or tentacles began to play a more important role in activity. Octopuses are one of four orders of extant cephalopods: the other three orders being squids, cuttlefish, and nautiluses. Of those four, the nautilus much more resembles the earlier, pre-Cameroceras cephalopods, maintaining its shell, and scavenging on the ocean floor, while showing little sign of intelligence. The other three orders have all reduced their shell to varying degrees. In the cuttlefish it became an internal bone, in the squid, it was reduced to a feather-shaped gladius. And in the octopus, it disappeared altogether, leaving the eye as the largest rigid body part. All three of these cephalopod orders have shown signs of higher intelligence, but squids and cuttlefish haven’t been studied as much as octopuses. While Godfrey-Smith’s account of octopus evolution reaffirms much of Engels’ views in a new scenario, Godfrey-Smith never mentions Engels by name, and seems to be unaware of his contribution. Part of the popular resistance to views like those of Engels stems from idealistic notions that view thoughts as determining reality, or dualistic notions that saw mind and matter as independent of one another. This was tied to a lot of reactionary political notions such as the “great man” view of history or the supposed meritocracy of capitalism, all of which viewed human society as driven by ideas while burying the process of labor and the role of human needs. Many scientists formally steer clear of the philosophical ideas of Marx and Engels for political reasons, but are nonetheless forced in practice to adopt key elements of dialectical materialism in ideas like plate tectonics or the concept of the ecosystem. Some more politically inclined scientists have consciously praised and applied Engels’ methods, as J.B.S. Haldane and A.I. Oparin in their theories on the origin of life, or Stephen Jay Gould in his theory of punctuated equilibrium. But many more scientists end up adopting an approach of “unconscious dialectics,” as seen here. While Other Minds does a lot to confirm a number of ideas previously put forward by Marx and Engels, the book also develops a scientific understanding of consciousness beyond what Marx and Engels knew in their day. Engels himself based his ideas of human evolution on Marx’s ideas on the difference between human and animal labor, for instance when he remarked in Capital, that “a bee puts to shame many an architect in the construction of her cells. But what distinguishes the worst architect from the best of bees is this, that the architect raises his structure in imagination before he erects it in reality. At the end of every labor-process, we get a result that already existed in the imagination of the laborer at its commencement.” Engels was concerned with how this “structure in imagination” evolved from simple reaction to nature. Godfrey-Smith paints a similar picture of consciousness as a “structure in imagination.” He uses the term “efferent copy,” meaning a mental “copy” of the outside world which an organism obtains through its sensation and activity, which can be manipulated through the thought process in order for the organism to consciously plan its actions. In humans, this includes things like internal monologues and mental images. He presents the evolution of consciousness as a process of these images developing out of white noise. But, going beyond Marx and Engels, he points to multiple evolutionary breakthroughs, as different qualities of image developed, leaving different animals with qualitatively different types of consciousness. Every organism has some ability to extract information from their surroundings, which then forms the basis of their actions. Godfrey-Smith points to studies of the E. coli bacterium, which can sense whether the concentrations of certain chemicals are increasing or decreasing. It then uses this information to move towards or away from those chemicals, depending on whether they’re helpful or harmful. But even in simple multi-cellular organisms, these tend to be independent reactions to outside stimuli carried out unconsciously in reaction to nature. In contrast to the idea that evolution occurred as slow, incremental changes over time, Godfrey-Smith points to distinct rapid transformations in consciousness at different points in natural history. The first took place during the Cambrian explosion when, not only vertebrates and cephalopods, but a number of arthropods as well, including the ancestors of bees, first developed the ability to perceive distinct objects in the outside world. This also saw the development in some organisms of the ability to feel pain and other primordial emotions. Godfrey-Smith points to experiments showing that crabs respond to pain by tending wounds, while insects don’t. The “efference copies” or “structures in imagination” of humans and octopuses were the product of later transformations and are more elaborate than those of the animals of the Cambrian explosion. But they’re also quite distinct from one another. The octopuses’ ganglia in their arms allow for some semi-autonomous thought processes and Godfrey-Smith likens the octopuses’ overall thought process to a conductor of a jazz band where each performer is allowed to improvise within the bounds set by the conductor. But humans have internal monologues and higher order thought processes lacking in octopuses. It’s in dealing with these questions that Godfrey-Smith acknowledges the contribution of the Soviet psychologist Lev Vygotsky. Vygotsky was a Marxist psychologist who eventually came into conflict with Stalinism, and he was one of the first psychologists to emphasize the role of internal monologues in the process of conscious thought. Godfrey-Smith explicitly praises Vygostky’s acknowledgement of the role of internal monologues, contrasting it favorably to their downplaying by empiricists and pragmatists like David Hume and John Dewey. But he uses Vygotsky as a jumping off point, looking at wider internal thought processes, not necessarily rooted in language. Because the sheer complexity of human language, with its elaborate sentence structure and adaptability, is unique to human beings. While a lot can be learned about humanity through these studies into octopus intelligence, it’s important to be clear about the limits. An unfortunate trend in pop science is to make sweeping generalizations that reduce complex social phenomena in human society to simple biological behavior in other animals. One of the crudest recent examples is the right-wing psychologist Jordan Peterson, who appeals to the biology of lobsters to justify the poverty, sexism, and other inequalities inherent in capitalism. While Godfrey-Smith tends to avoid bringing up wider political issues, he is thankfully much more thoughtful than Peterson when it comes to discerning what we can, and can’t, learn from the biology of sea creatures. A fundamental difference between octopuses and humans is that humans are social animals, whereas octopuses are decidedly unsocial. They may interact with nature in quite a bit of detail, but they do so as individuals. Beyond this, octopuses have very short lifespans, usually one or two years. Octopuses are also semelparous, meaning they only reproduce once in their lives. After tending their eggs for a matter of months, the mother dies and the larvae drift off into the ocean to fend for themselves. So even at the level of the relation between parents and children there is almost no social interaction. This unsocial behavior places a qualitative limit on their consciousness. The internal monologue that Vygotsky observed in humans was only possible because humans developed language and external dialogue. Engels stressed the social character of labor as a key to the development of human intelligence, saying “the development of labor necessarily helped to bring the members of society closer together by increasing cases of mutual support and joint activity, and by making clear the advantage of this joint activity to each individual. In short, [humans] in the making arrived at the point where they had something to say to each other.” But this hasn’t happened with octopuses. Godfrey-Smith points to a contrast not only with humans, but other intelligent animals more closely related to humans. The octopus, with its unusually flexible body and color-changing ability, has the potential to develop an incredibly elaborate sign language. But no sign of such a language exists. Baboons, on the other hand, communicate using a much more limited palette of only three or four types of grunts and screams. But due to their social character, they can make these calls in ways that allow for a wide variety of different interpretations, based on different circumstances. Humans have the best of both worlds. The final chapter of Other Minds looks at a seemingly exceptional scenario, a reef off the coast of Australia named “Octopolis,” in which normally solitary octopuses have been found to congregate and interact with one another. Since the publication of Other Minds, a second such reef was discovered, also off the coast of Australia, this time called “Octants.” Moreover, in both reefs, it seems that the actions of octopuses created the environmental conditions that allowed for this socialization. This has led to some hyperbolic news reports claiming that the reefs were “engineered” by octopuses. Godfrey-Smith’s analysis of Octopolis is a bit more measured. The reefs were built through octopuses accumulating scallop shells and building dens which altered their environment: “The octopuses have built an ‘artificial reef’ through their shell-collecting behaviors, and this seems to have led to an unusual social life developing, a life of high densities and continual interaction.” However, there is no evidence that the octopuses set out to build an “artificial reef.” Moreover, due to the nature of octopus reproduction, the later generations of octopuses who developed a social life in the reefs aren’t even the descendants of the octopuses who build the reefs. The fact that a reef was formed out of the octopuses’ actions was simply a lucky side effect. What Godfrey-Smith does propose is that the unique environment of reefs like Octopolis encourage a more social behavior on the part of octopuses who would otherwise be much more solitary. This is a solid challenge to the crude biological determinism put forward by figures like Jordan Peterson. Moreover, he puts forward the possibility that, over the course of several millennia, these reefs could facilitate the evolution in octopuses of more of the properties seen in human consciousness, such as language, the internal monologue, and higher levels of reasoning. With discoveries of other reefs like Octlantis, such a prospect seems possible in the distant future, but there is still much we do not know. At least it’s a possibility if the capitalist destruction of the environment doesn’t get in the way first. Godfrey-Smith concludes with his most explicitly political call, an appeal for humanity to take better care of the oceans. The unique power that humans have also includes a unique potential for destruction. Godfrey-Smith laments the pollution of the oceans, destroying reefs, and creating “dead zones” in many parts of the world’s seas as a result of fertilizers and other pollution leading to the loss of oxygen. This points to the need for scientists to become actively involved in the struggle to change society along socialist lines. But it also points to the need for socialists to take science seriously. Consciousness gives us, and octopuses, the ability to understand what we are, and what our environment is. The advanced social character of human consciousness does this on a much higher level. It gives us a much wider understanding of our relation to each other and to the complexities of the natural world. Under capitalism, this has resulted in the creation of a metabolic rift, with the resulting destruction of the environment. A socialist world would give us the potential to mend that rift and achieve ecological balance. A more thorough understanding of our natural world is vital to developing such a society.